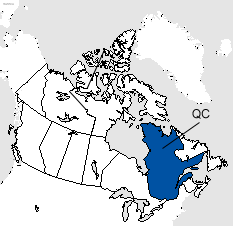 Ragueneau, QC utilizes an area code overlay in which area codes 418 and 581 serve the same geographic area. Ten digit dialing (area code + seven digit number) is necessary. In addition to Ragueneau, QC area code information read more about area codes 418 and 581 details and Quebec area codes. www.AreaCodeHelp.com is not responsible for any damages or problems caused by this service. If you have any suggestions or comments contact us.